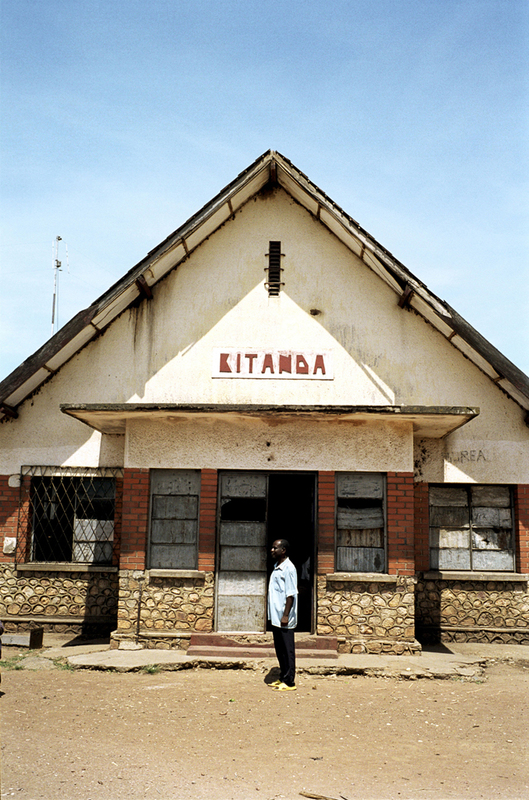 DR CONGO 2006 A month-long, 1 400 km journey by railroad to the heart of the Democratic Republic of Congo (ex-Zaïre) from Kindu in the central province of Maniema to Lubumbashi in the southern province of Katanga. We sleep on the train, we live on it, we start on it, we fight on it, we break the law on it, we die on it . 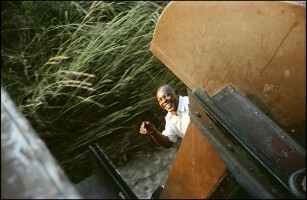 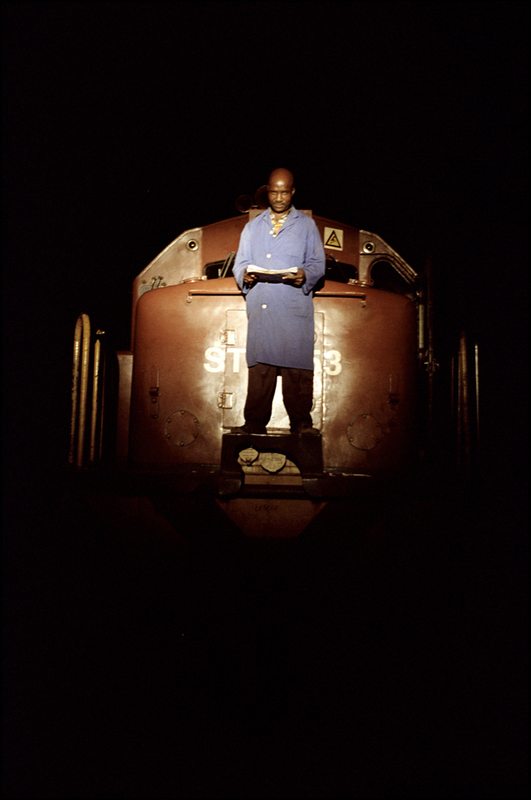 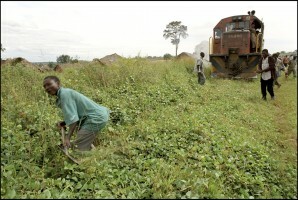 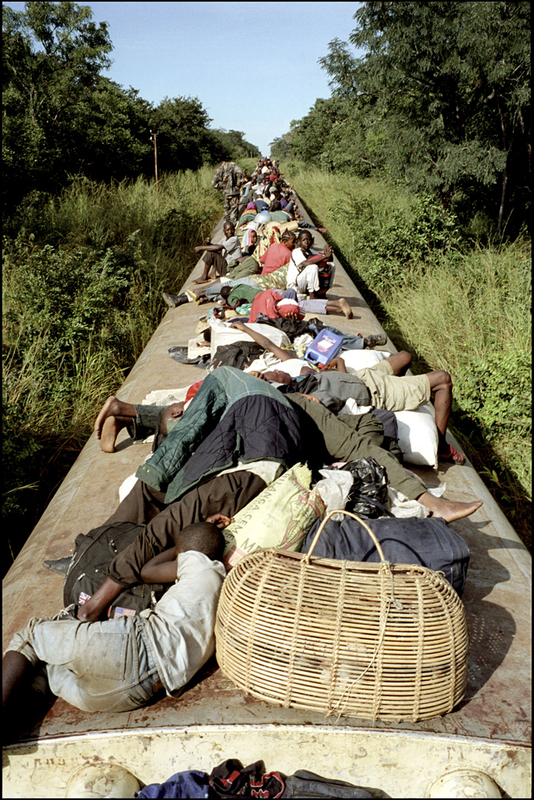 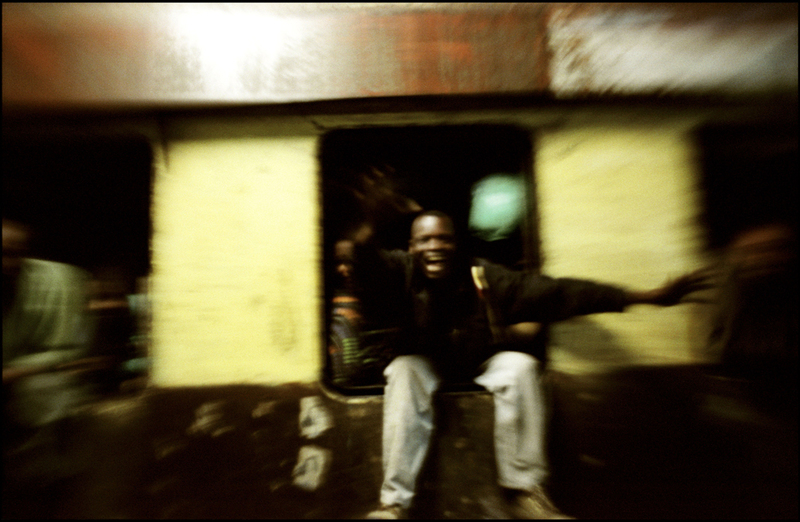 Perfect immersion : Africa is on the train ; the train is on Africa . 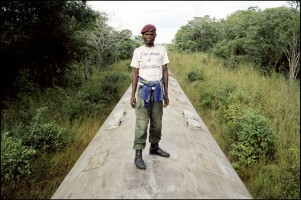 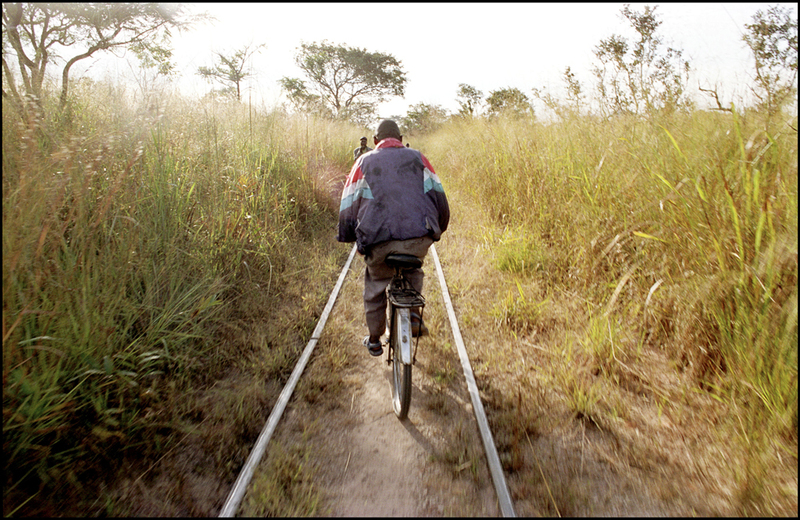 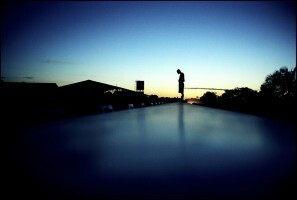 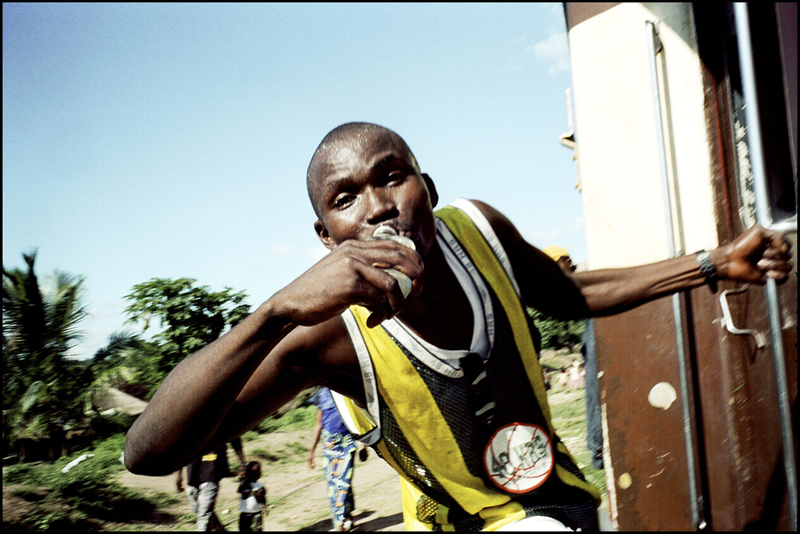 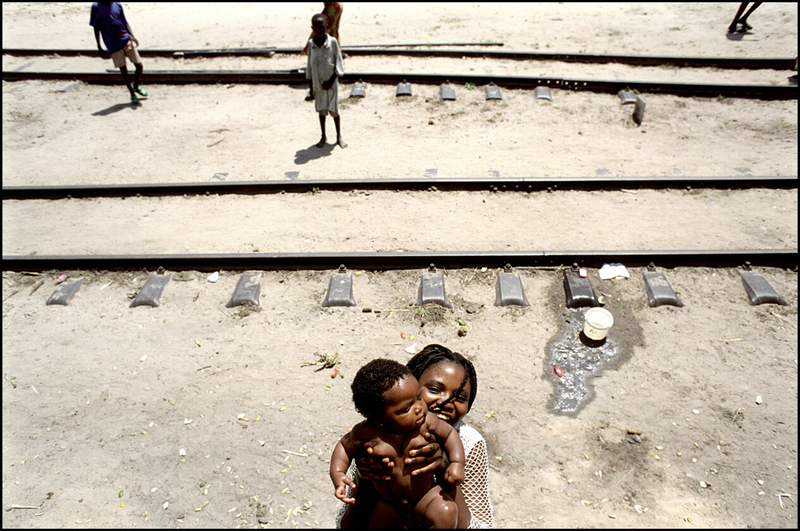 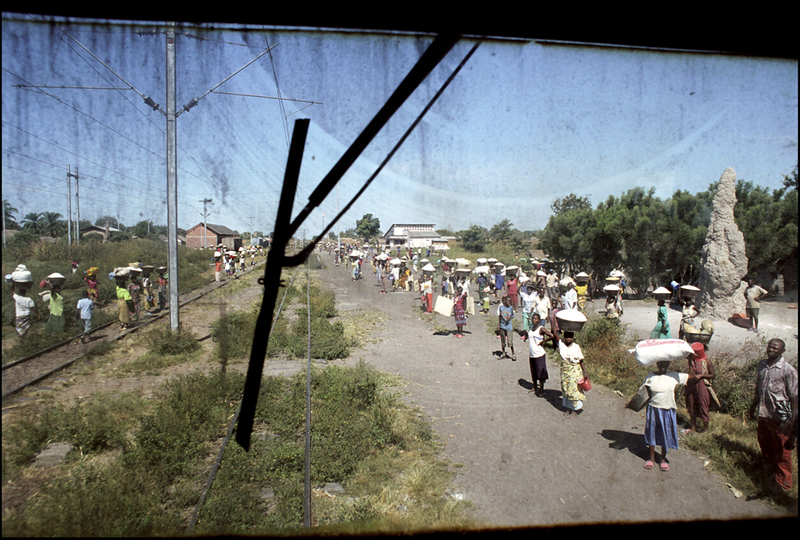 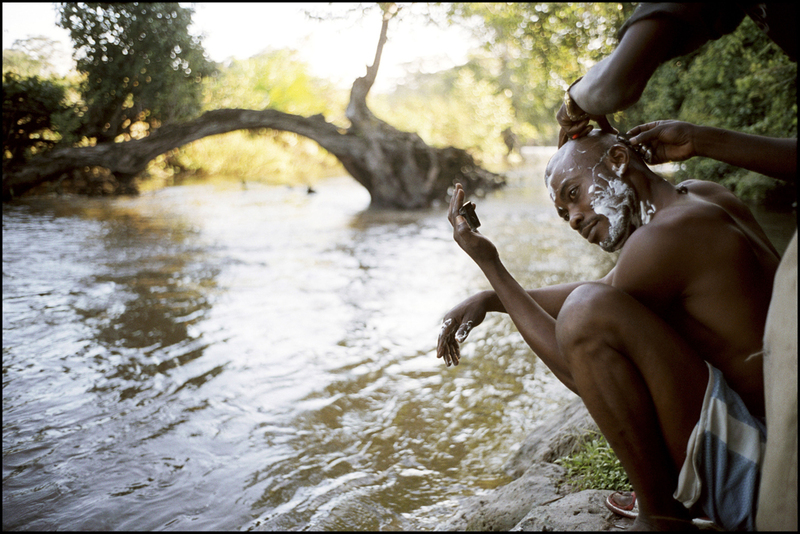 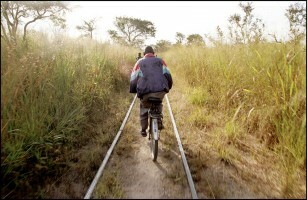 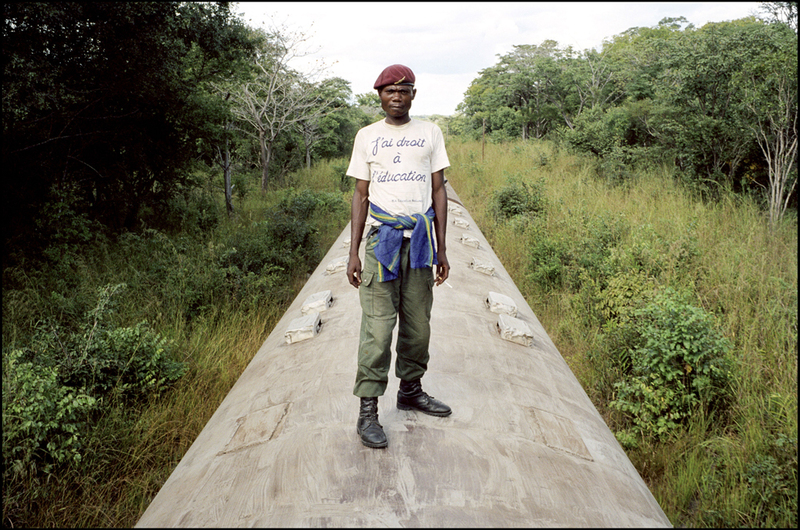 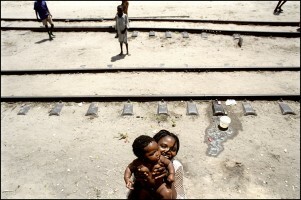 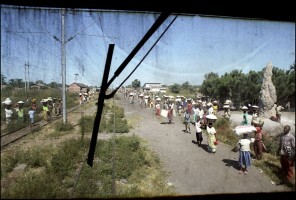 « This railroad line is a line of life, said Michaël Zumstein, on the return journey. 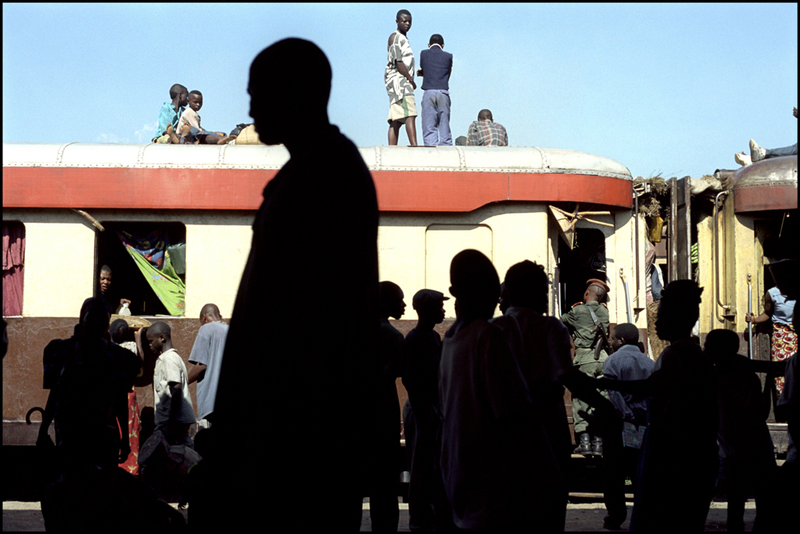 Without the train, Lubumbashi, the country’s second most populated city, lacks foodstocks and no longer exports pens, dishes, and other manufactured products that now come from China through the Maniema enclave. 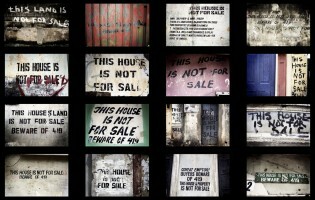 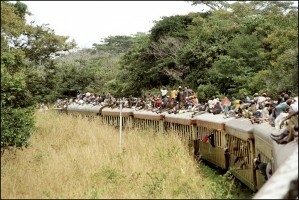 » There are no highways, and airplanes are expensive. 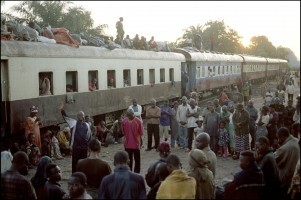 « Kambelembele, » the train’s name, is the only other means . 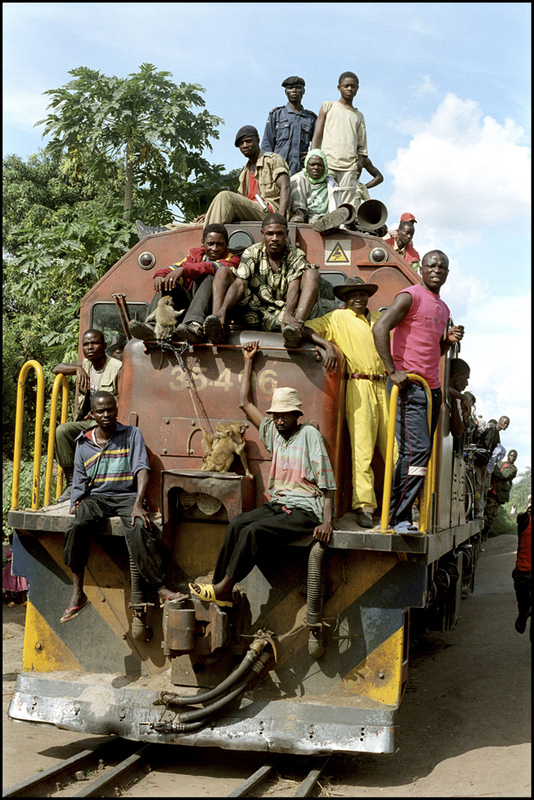 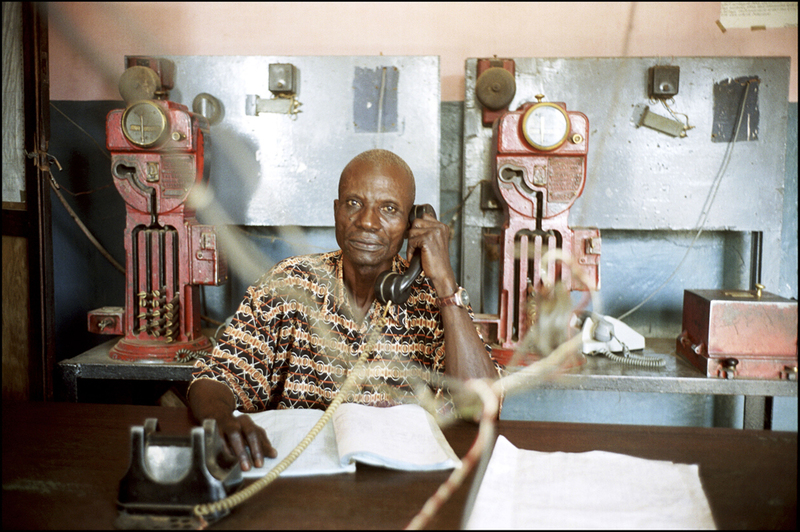 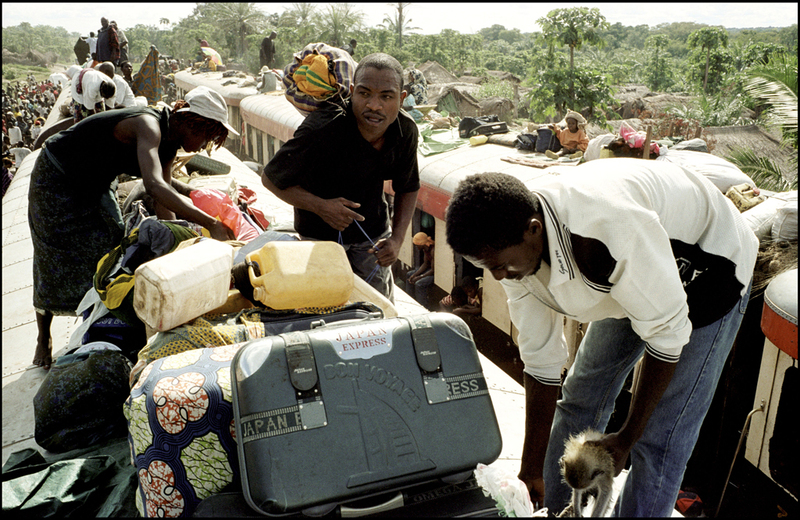 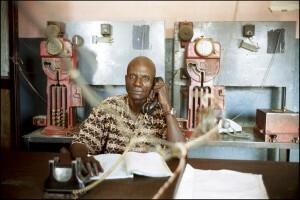 Today no one is truly Kambelembele’s manager, although the train is in principal property of the National Society of Congoese Railroads (a « publique » company). 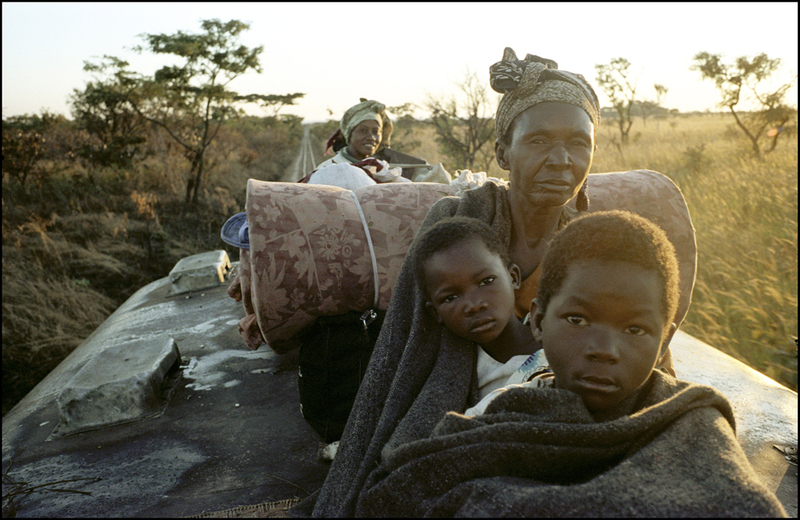 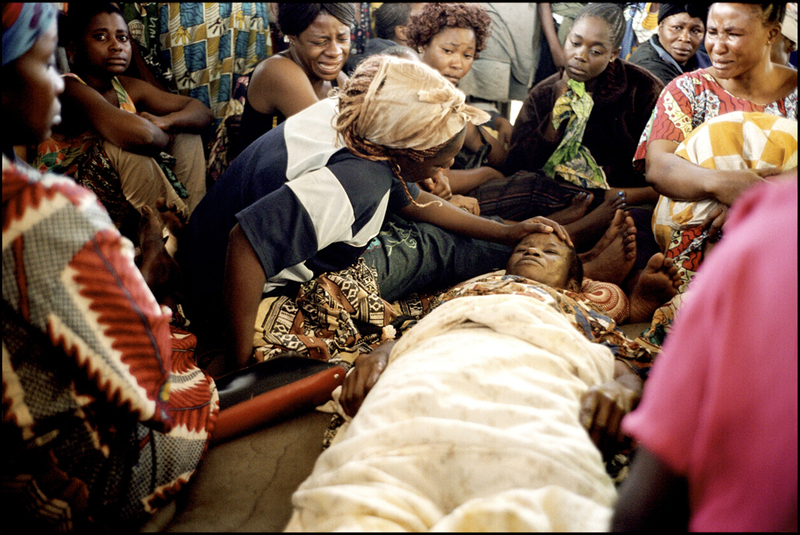 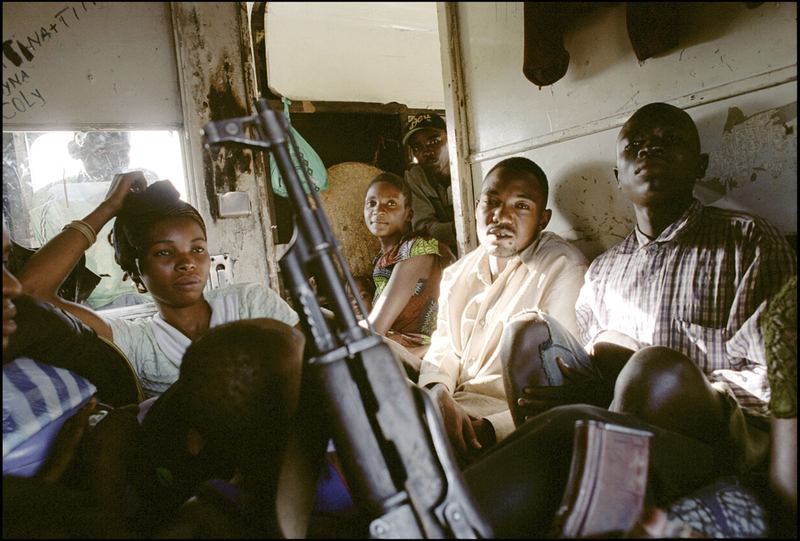 Ten years of civil war spurred by invading armies from Rwanda and Angola has claimed some two million victims. Consequentially, this country of nearly 55 million people and three-times the size of France has been left bloodied and stateless. 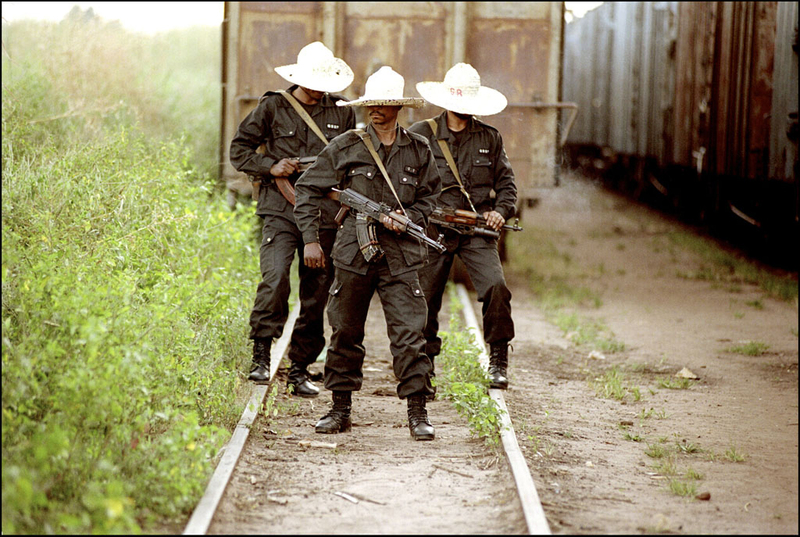 Under the protection of a feable United Nations Organization force, presidential and legislative elections are scheduled for July 30, despite contintued fighting across the country. 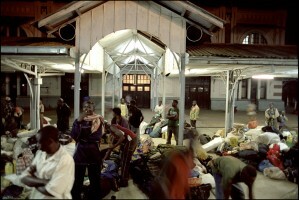 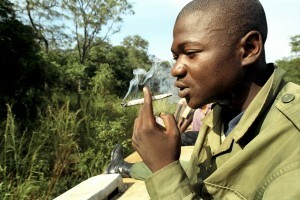 The current president, Joseph Kabila, is predicted to win. 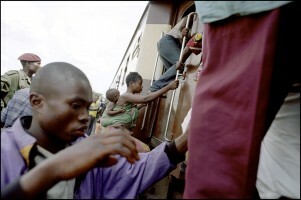 « The army and traders control the train, » and extort passengers, according to Zumstein. 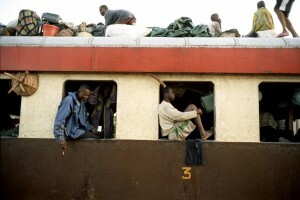 « We transport in these trains mobilized and demobilized soldiers who demand ransoms from passengers, women giving birth, and preachers giving fraudulent sermons on the roof. 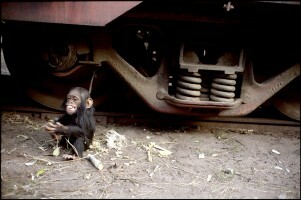 The tracks are not always cleared, and trains derail often. Regardless, the train gets where it’s going. 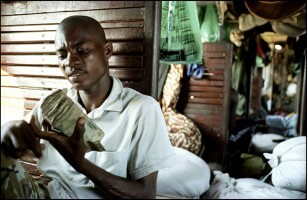 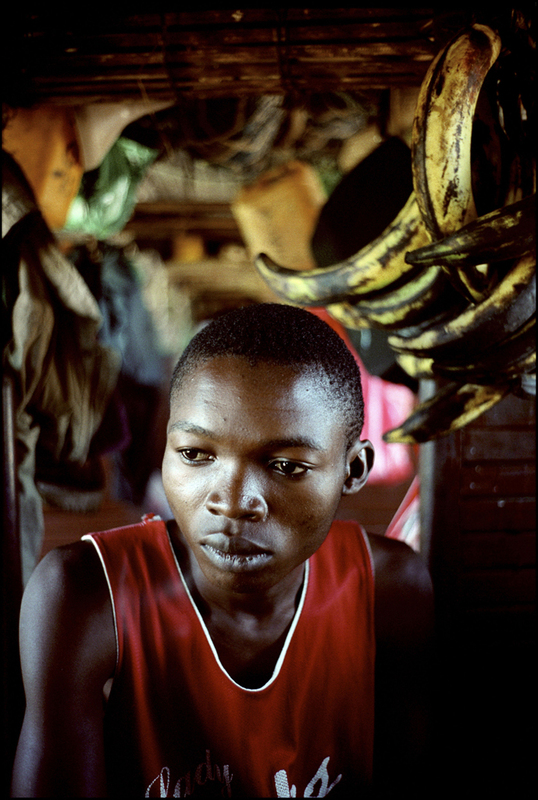 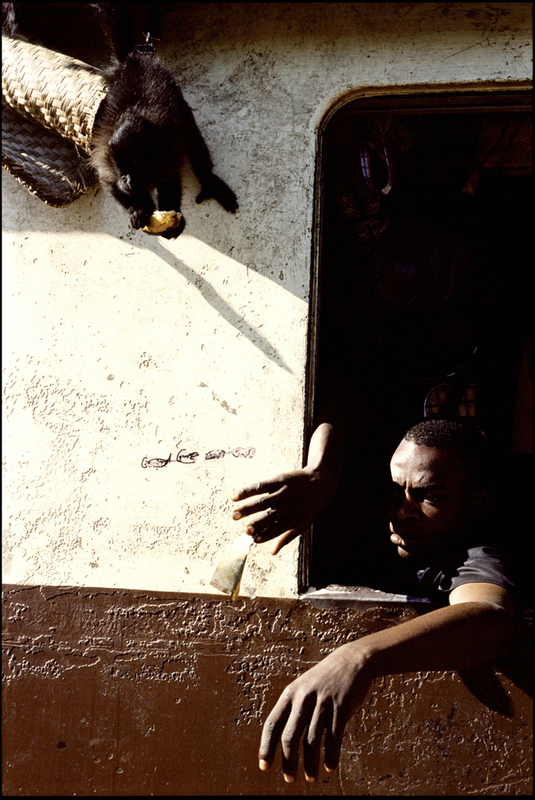 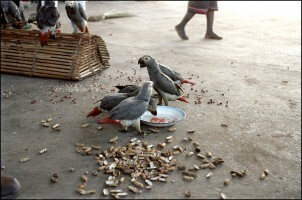 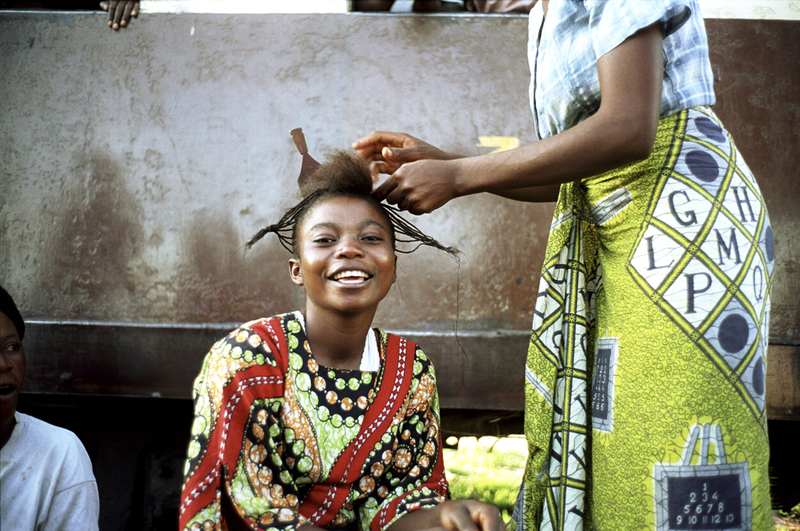 » In essence, the Kambelembele is the perfect metaphor for the Democratic Republic of Congo.